In the past calendar year, approximately 100 million sharks have been killed by humans. 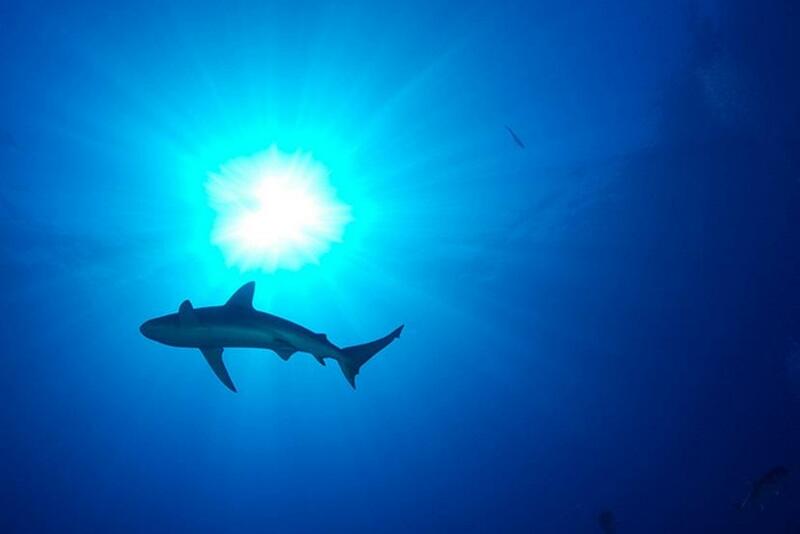 The collapse of shark numbers is of huge concern to conservationists. Whilst working on the launch of our new Global Shark Campaign, I realised that one of the biggest problems faced by conservationists is that a lot of people just don't care about sharks. After all, they’re just vicious killers right? Most travellers only tend to give sharks a thought when contemplating whether or not it is safe to swim at a certain beach whilst abroad. I decided to interview shark expert Ingrid Sprake to find out more about these misunderstood animals, why you should help protect them and the simple steps that we can all take whilst on our travels to boost their chances of survival. 1. Tell us about yourself and how you first started working with sharks? I was born in the UK and my parents brought me up to respect and protect our planet and its animals. I was lucky to have spent my childhood around the beautiful Welsh coastline and we were always outside and involved in adventure activities. I was a natural in the water. In fact, I could swim before I could walk and my favourite childhood summers were spent playing in the ocean. After graduating from law school in London, I practiced as a litigation solicitor for several years, but the lure of the ocean was always with me and I would head to the coast to surf every weekend, even in the winter. In around 2000, I recall reading a travel magazine article on scuba diving and I decided to give it a go. However, rather than heading to one of the exotic places featured in the article, I headed to Torquay on the South Coast of England and did my Open Water Diver Course there. I will never forget my first dive. It was freezing cold, with about 20cm visibility and all I saw was a shopping trolley, a road sign and a cuttle fish! However, that was enough to awaken my inner mermaid and I knew that I had found my passion in life. It did not take me long to start travelling in order to dive. I loved the freedom of being on the road. I remember my first warm water dive in Cambodia. I dropped down and saw a seahorse, and it was then that I knew it was time to get out of the rat race and follow my heart. I returned to the UK, gave in my notice and bought a one way ticket to India - that was 12 years ago and I have never looked back. I travelled around Asia for a while, settling in Thailand to complete my Dive Master course. This further fuelled my passion for diving and, in 2003; I completed my Dive Instructor qualification in Cairns, Australia. My passion for the underwater world did not stop there and I continued to travel and teach diving in Egypt, Costa Rica, Honduras and the Cayman Islands. The more places I lived and dived, the more I realised that our world’s delicate marine eco-systems were in a fragile and perilous state and I wanted to do something about it. I began to volunteer with local marine conservation organisations in the countries in which I was working. I gained a lot of satisfaction from this kind of work and soon became more and more involved in marine conservation initiatives. It was this passion and desire to make a difference that took me to the Bahamas in 2009, where an opportunity had arisen to work with Caribbean Reef Sharks. 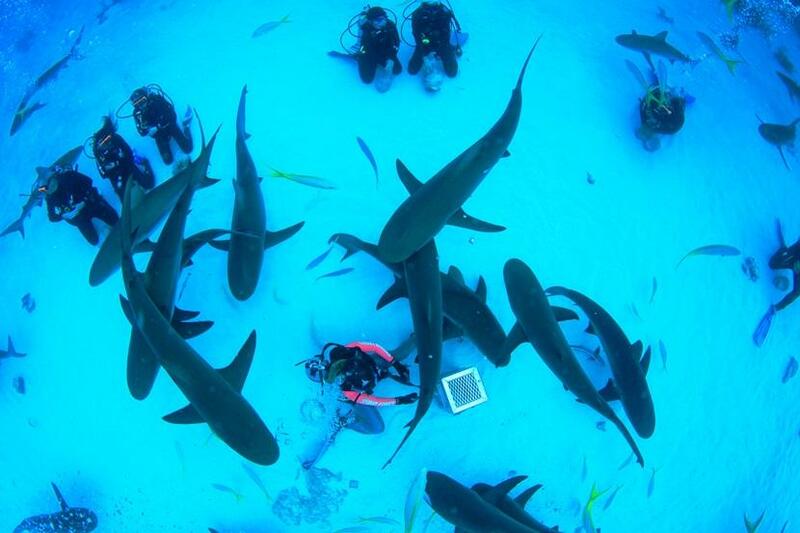 For most people, spending the day underwater with 50 sharks is not an obvious choice! 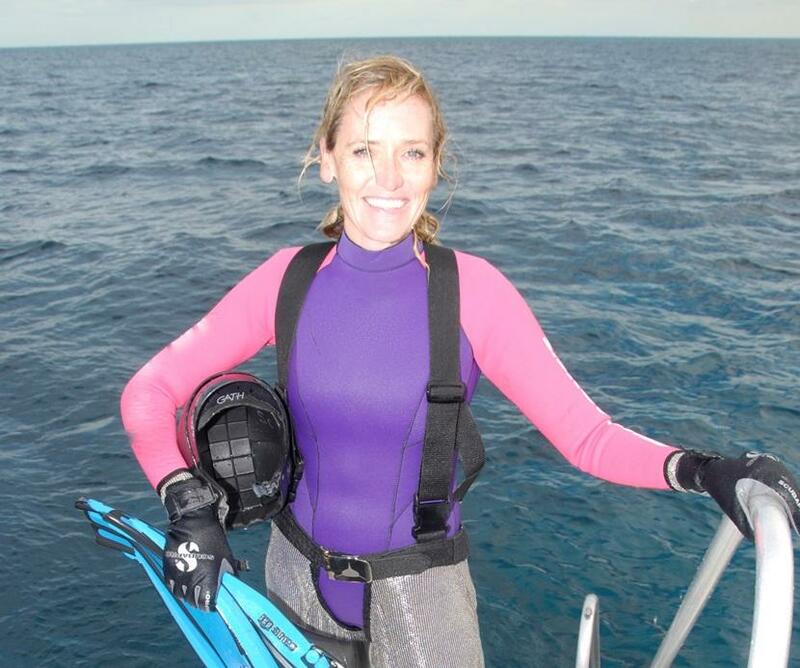 I will never forget my first dive with the sharks - my heart was racing! Having spent years diving all around the world, I realised how rare it was to dive so closely with the ocean’s greatest predator. I felt blessed to be part of the process to help protect the species. I underwent ten of hours of training which involved learning how to identify behaviours, controlling the position of the sharks in the water and placing them in to tonic immobilisation so that data collection and research work can be carried out. From there, I returned to Thailand and took up the position of Conservation Project Manager for Projects Abroad. This led on to me setting up the new Shark Conservation Project in Fiji and heading the Projects Abroad Global Shark Campaign. Sharks are the apex predator in our oceans and are critical to our eco-system. Only by studying and understanding these amazing creatures, can we begin to protect our fragile marine eco-systems and preserve one of the ocean’s greatest animals. 2. Sharks are often portrayed as vicious killers in the media. Is this an accurate portrayal? The portrayal of sharks as ferocious and savage man-eaters is totally inaccurate and nothing more than media hype and nonsense. Humans are definitely not on a shark’s menu! I have done thousands of dives with sharks, each without incident. Such a negative depiction of sharks is a modern day invention and has no basis in fact. All over the world, in coastal villages, the aboriginal people revere and worship sharks. They share ancient stories, dating back thousands of years, telling of the sharks being good omens and protectors of the water. Falling out of bed kills 450 people. Vending machines kill 13 people. Sharks are responsible for the deaths of around 10 people. Humans are responsible for killing an estimated 100 million sharks annually - a figure that is simply too high to comprehend. So in fact, the correct portrayal is that man, and not sharks, are the vicious killers. 3. Why are sharks so endangered? The over-fishing of sharks from our oceans is having a devastating effect on our marine eco-systems. As the apex ocean predator, until now sharks have only needed a slow reproductive system in order to keep their species alive. As a result, they are slow to reach sexual maturity and produce only a small amount of pups in very few litters over their life time. Therefore, the rate at which they are being removed from our oceans is not allowing the species enough time to recover and replenish. Sharks are being fished at an unprecedented rate, mainly due to the demand for shark fin soup. It is estimated that around 73 million sharks are killed to meet this demand each year. The only commodities of any worth on a shark are the fins, which make up about 5% of the body ratio. Therefore, in order to maximise their profits, shark fishermen remove the fins from the shark on the boat, then toss the live shark back in to the ocean to slowly drown to death. This practice is both cruel and barbaric. A further 27 million sharks are killed as a result of unethical fishing practices. This includes long line fishing, whereby around 100km of lines furnishing over 2,500 baited hooks are used. In addition to sharks, dolphins and turtles are also caught in this trap, tricked into taking an easy meal. The use of trawling nets, which are dragged behind fishing boats collecting anything and everything in their path, are also having a devastating effect on shark numbers. As indeed is sport fishing, with shark tournaments still pulling in the crowds in countries all over the world. 4. Why should we protect sharks? Evolution has created a perfect balance in our oceans. Sharks are at the top of the food chain. If you remove sharks from the ocean, then the whole balance is destroyed and the marine eco-system collapses. Sharks hunt and remove the weaker fish from the eco-system, ensuring the gene pool of lower species is kept strong and able to thrive. This keeps the fish stocks in our oceans plentiful. If the middle-level species are not kept under control, then they will flourish and have a negative impact upon the low-level species. It is the low-level species that ensure the health of our coral reefs and marine flora, which in turn filter the ocean water and produce 70% of the oxygen we breathe. Everything is connected. Removing sharks from our oceans will have a devastating effect on our entire planet. It is the same as removing the foundation of a building. Our eco-systems will collapse as a result. 5. What can travellers do to help the conservation of sharks? Travellers can have a direct influence, by reducing the demand for shark-related products. Every individual can make a difference by refusing to eat in restaurants that serve shark meat and/or shark fin soup. Tell the restaurant manager why you are choosing not to eat and spend money there. Businesses make decisions based on profit and they will take notice if they start to lose customers as a result of selling shark products. Do not go with recreational fishing companies that offer shark fishing trips. Don’t be tempted to buy shark’s teeth jewellery from local markets. This encourages locals to kill sharks for their teeth. Support those restaurants and businesses that display signs stating that they are against selling shark-related products. Always talk about sharks in a positive light, especially with the local people. 6. What can travellers do to minimise pollution of the oceans? Responsible tourism is essential for the health of our planet. Travellers can do a lot to ensure that they do not add to the global pollution problem by using bins and recycling bins where provided. Don’t throw cigarette butts on the floor. Refill water bottles rather than buying several smaller bottles. 7. For anybody interested in sharks, what is the best way in which to interact with them? 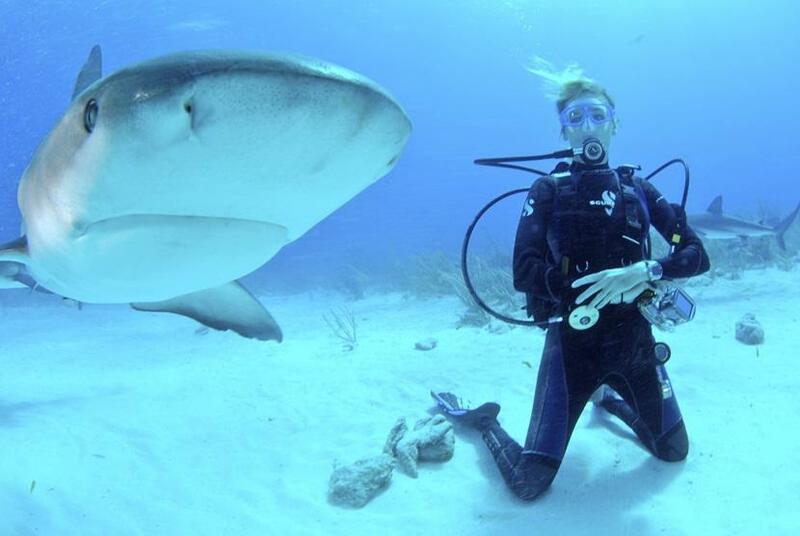 Sign up for a Project AWARE Shark Conservation course - you can do this as a diver or non-diver. Only go with reputable shark tourism companies and make sure they have a conservation initiative attached to their business. Visit the local aquarium and sign up for any shark courses they run. Volunteer on a Shark Conservation Project such as the one run by Projects Abroad. You will learn more about sharks, educate the local community and have a direct impact on shark protection. This sort of project is vitally important to the future of our oceans. Volunteers not only contribute their time and effort on the project, but they also take the message back home with them and become ambassadors for conservation in their own country. 8. Where are the best places to engage in shark tourism? Supporting shark tourism is a way to show local coastal communities the economic advantage of protecting their local shark populations. Basking sharks can be seen off the coast of the UK. Large shark populations are found around the Caribbean, especially the Bahamas. The Galapagos Islands have schooling Hammerheads. Whale sharks congregate off the coast of Mexico. Thresher sharks can be seen in cleaning stations around the Philippines. 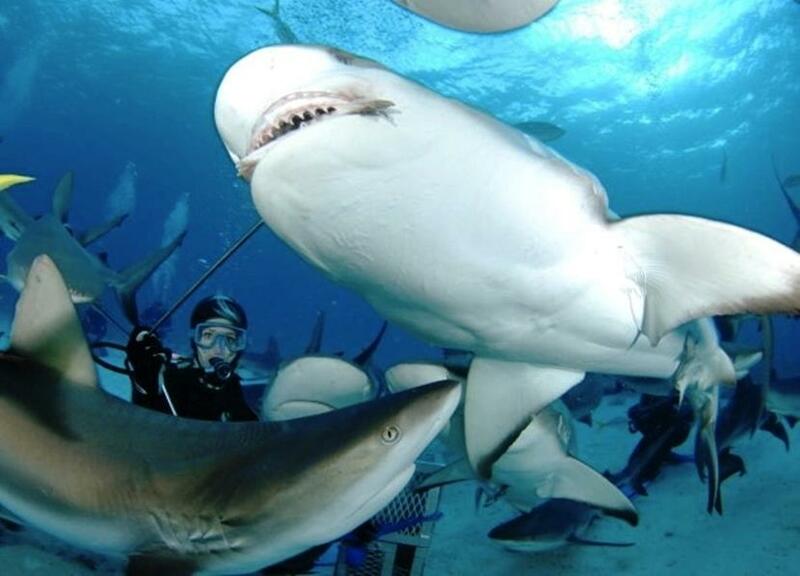 A shark is worth around US$20,000 to shark tourism when alive. This is compared to the US$500 that the fins of a slain shark are worth. Simply put, sharks are so much more valuable alive. Hopefully, with increasing shark education and awareness, more and more people around the world will realise this. I hope you found this blog useful. Has this changed your view of sharks? Please feel free to share your comments below.